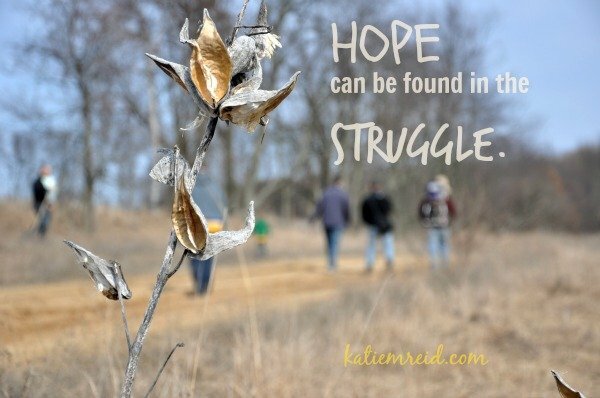 Are you struggling this season? Struggling to make end’s meet? Struggling to keep things fresh in the midst of tradition and familiarity? Guess what? It’s okay to be struggling. It doesn’t mean that you are broken or weak—though you may feel both. Struggle doesn’t mean you’re a failure, it just makes you human. I was just talking to a dear friend and we were confessing our plight with perfectionism. It is a vicious cycle that keeps us striving and driving and running out of gas–falling short again and feeling discouraged. But, we will never be perfect, so we might as well give up on that. Jesus was perfect, is perfect, will always be perfect—so we don’t have to be. No, this fact isn’t a license to sin or throw caution to the wind but it does give us room to breathe, to live full and to embrace grace. Whatever you are struggling with today, you don’t have to pretend that you have it all together. You have permission to have hard days—it doesn’t mean that you’ve lost your faith or aren’t a real Christian. It just means you are human. And Jesus is pretty fond of humans.